It may have been hit by unprotected strikes, which have affected the nation’s economy and standing as an investment destination, but mining has significant potential. And its role in South Africa’s economy cannot be over-emphasised. South Africa needs to restore stability in the mining sector in order to restore the country’s reputation as an investment destination, according to Roger Baxter, the chief operating officer of the Chamber of Mines South Africa. Speaking at the fourth annual Africa Iron Ore Conference, which took place in Sandton, Johannesburg, from 3 to 4 June, Baxter said unprotected strikes had hit South Africa “hard”. “Everyone was caught napping. The unprotected strikes in 2012 and ultimately the Marikana tragedy tarnished South Africa’s image as an investment destination, compounding the policy debate around nationalisation which took place from about 2010 to 2012,” he said. As if this was not enough, in January, miners in the platinum sector went on strike, which became the longest strike in the history of the sector. “The strike is going on now for the fourth month. The industry has lost more than R21-billion in revenue, workers have lost just under R10-billion, and the economy has been affected by this. “Investors are saying that labour market turmoil is affecting [our] propensity to be an investment destination so it’s a big challenge that we are facing,” he said. But a huge amount of effort had been put into resolving the strike and the industry was firmly set on trying to realise an agreement that was not only in the national interest, but also allowed the sector to be viable. 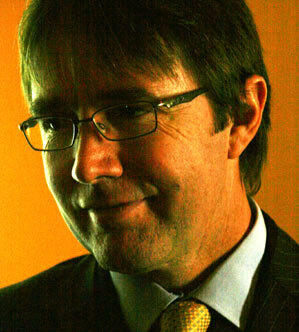 There had also been a huge improvement – of over 70% – in mining’s performance, according to Baxter. The sector had also done much in terms of community investment; probably not as much as people should have expected, but enough to ensure workers benefited from working in the industry. Despite this, with the current strikes, mining was not doing as well as it should. In the first quarter of this year, it experienced a 24% decline in mining output, the biggest rate of decline in mining output in the last 47 years. This had had an effect on the national economy, with other sectors such as manufacturing also feeling the effects. South Africa’s growth rate in the last 20 years had been about 3%; more recently, this had dropped to about 2%. “A country that has a 10% growth rate doubles its economy in size every seven years; a country that has a 7% growth rate doubles every 10 years and that’s where China is at the moment. A country that has a 3% growth rate, which is what South Africa exhibited over the last two decades, doubles in size every 24 years, and a country that has a 2% growth rate doubles every 35 years,” Baxter explained. “A 35-year doubling of our economy in size is just too slow. It’s just simply not sustainable from an economic perspective and from a social perspective.” The problem was that growth had only been in the non-tradable, domestic consumer sectors, which included financial, wholesale, trade and retail services, which was where the growth had been in the last two decades in South Africa. In contrast, the export sectors had grown at a much slower pace, resulting in South Africa consuming more than it could produce. “In other words, our gross domestic expenditure exceeds our gross domestic product by about 6%, and that’s because our exports sectors are growing at a much slower pace than our consumer sectors,” said Baxter. The National Development Plan recognised that the tradable export sectors – mining, manufacturing and agriculture – needed to grow at a much faster pace for the economy to achieve a much more sustainable, balanced and inclusive growth rate. In addition, beneficiation played a bigger role in the country’s economy than a lot of people thought. “We think about R300-billion of additional sales value and more than 200 000 jobs are created in the downstream alone,” he said.